The Cabinet dedicated its weekly session on Sunday to discussing corruption, approving a number of steps and procedures to improve the government’s plan to curb financial and administrative corruption on the level of individuals and establishments. The Cabinet, chaired by Prime Minister Imad Khamis, discussed the mechanisms necessary for curbing corruption in terms of updating laws and regulations and holding corrupt individuals accountable. 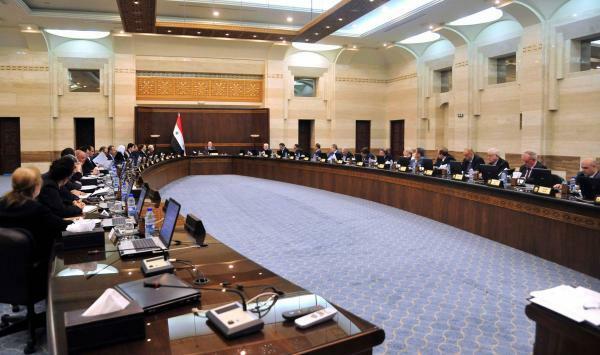 The Cabinet stressed that nobody is above the law, and that any illegitimate exploitation of a post or position constitute a clear case of corruption, affirming the need to punish all corrupt figures and those who support them, as there can be no leniency or laxness in dealing with this phenomenon now that Syria is at the cusp of the reconstruction and comprehensive development stage.